Ann Phillips joined House Productions, the recently launched indie set up by Tessa Ross and Juliette Howell, in October 2016 as a development executive, focusing mainly on the company’s film projects. Phillips joined House from See-Saw Films, where she worked across the development of the film slate, collaborating with talent such as Steve McQueen, Simon Beaufoy, Garth Davis and Philippa Goslett. 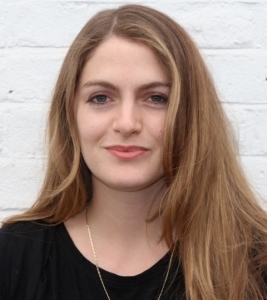 She previously worked within Film4’s development team as a creative executive. Prior to joining Film4 Phillips was head of development and acquisitions at international sales and financing company WestEnd Films whose line up included Jeremy Saulnier’s Green Room, Tomm Moore’s Oscar-nominated Song Of The Sea, Joseph Cedar’s Oscar-nominated Footnote, ballet documentary Dancer and Ralph Fiennes’ The Invisible Woman. She was selected as one of Screen International’s 50 Future Market Leaders, a feature representing top young film executives, at Cannes 2012. She began her career interning with independent producer Norma Heyman, and with sales company Capitol Films, before joining WestEnd as the company was launched. She has a BA in Philosophy from UCL. I have been aware of the programme for a while, having worked with or for people who were alumni. I only ever heard good things and saw how closely connected those people stayed to their fellow-alumni. In the last few years, I’ve moved into development within a production company and away from international sales. It felt like the perfect juncture to spend some time consolidating and developing my knowledge of the business, reminding myself of the opportunities and challenges, and to get to grips with shifts in the film and TV landscape. I was impressed with module 1; it was well structured, and gave a good overall view of the value chain. It enabled me to return to the office with renewed energy and focus and look at our projects with a different, practical view. 2. You are currently a development executive at House Productions, a new venture by Tessa Ross and Juliette Howell. Can you tell us a little about the company? House Productions was officially launched in August last year, and I joined in October. Tessa and Juliette, having both had illustrious careers so far in television and film, wanted to set up a new indie that would develop and produce high-end, authored TV and film. We have a first look deal with BBC Worldwide on the TV side, and a deal with Access Entertainment for development and production finance on our film slate. It’s been a busy first year building both the TV and film slates, and they’re looking eclectic and very exciting. Tessa and Juliette, as well as my other colleagues at House, bring a lot of great talent relationships to the company and so we are, hopefully, in a great position to build projects with some commercial and critical clout. Our development team works across both film and TV, so there’s some great cross-fertilisation of ideas, talent and material. 3. For anyone interested in working in film development, what did you wish you’d known before you started? And what advice would you give. I would say that it’s very important to back your own instinct and opinion, but to be open to the realities, and the things that need to happen to get something made. In other words, it’s about having enough conviction with ideas to push them past initial hurdles, with positive energy, but also knowing when to let something fall away. An idea is only an idea if there isn’t a practical way to move it forward. It’s obviously a long game – and you have to live with something for a long time. It can be hard to shelve projects or ideas that you’re attached to, but that energy can be turned towards something else. My advice would be to read as much as you possibly can – articles, books, be aware of story. But also, to talk to talent you want to work with and find out what interests them. Look for crossover. Being able to build something with the creatives from the ground up is a more organic experience than developing something in a vacuum and then trying to sell it to talent. Hence the importance of nurturing those relationships, getting to know emerging writers and directors who you’re inspired by and understanding their work and what excites them. The aim has always been to build a home for talent to develop their projects with creative support and integrity, and we are lucky to be working with some established stars of the UK industry alongside some really exciting emerging filmmakers. That process of meeting people and developing relationships is ongoing. We’ve optioned a lot of IP – articles and books – which we have managed to attach writers and / or directors to, and are also looking at some really strong original ideas that have been brought to us by people we’re eager to work with. I’m particularly excited to be talking to directors for a wonderful novel that we optioned at the end of last year. It’s a really fantastic, internal but also epic piece and I think (and hope!) that someone will flip for it. It’s all early, but next year looks set to be very busy, and fulfilling.